Fashion Gossip: SPECIAL FEATURE: When LAdy Fozaza met GAP! SPECIAL FEATURE: When LAdy Fozaza met GAP! I got a bit worried! cause like many of us I had the nerves to judge too quickly! me for. I decided to take a leap of Fashion Faith! GAP became my perfect CANVAS to paint on! you will ALWAYS find your size there! and your basic needs! its the perfect start to an even greater finish! 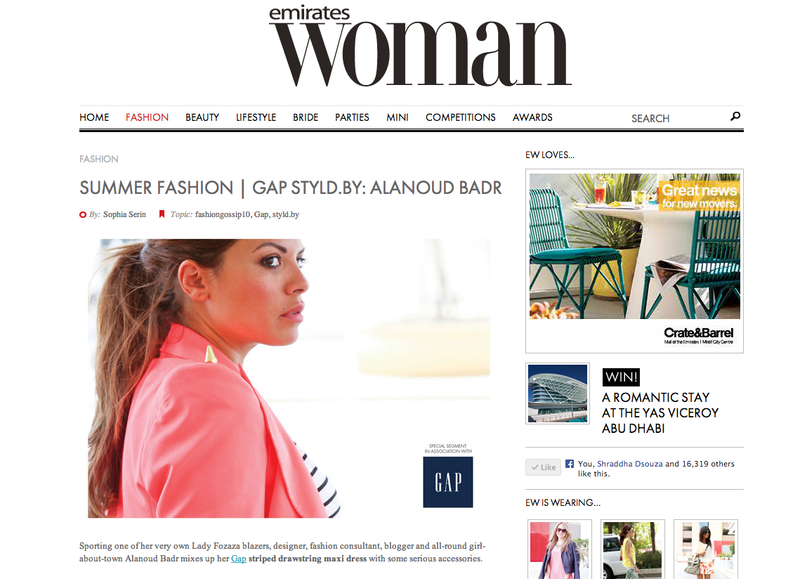 To Emirates Woman for choosing me! GAP for styling me with their FABULOUS pieces! Photographer Vikram Gawde for Emirates Woman for the great shots! I think your site is very well done, you've found the beautiful photos and funny videos! I love the outfit you're wearing!! and well done, your blog is awesome! and I love your brand.